Nose: the nose is heavier, darker , more sherried and brooding. with dark chocolate, honey and cocoa, more of the apple pie, quite rich, with spices, black tea leaves, tobacco and even a smoky touch and a hint of salt. Palate: thick and complex, dark fruit, chocolate, Xmas cake again, more ripe oranges, dark honey, tobacco, tea leaf, salty touches, old leather, chewable stuff. Finish : dried fruit, prune, date, spices, cigar tobacco, wood. That was non-love at first sight. Maybe the Malt wins with a lot of oxygen, time and habituation. 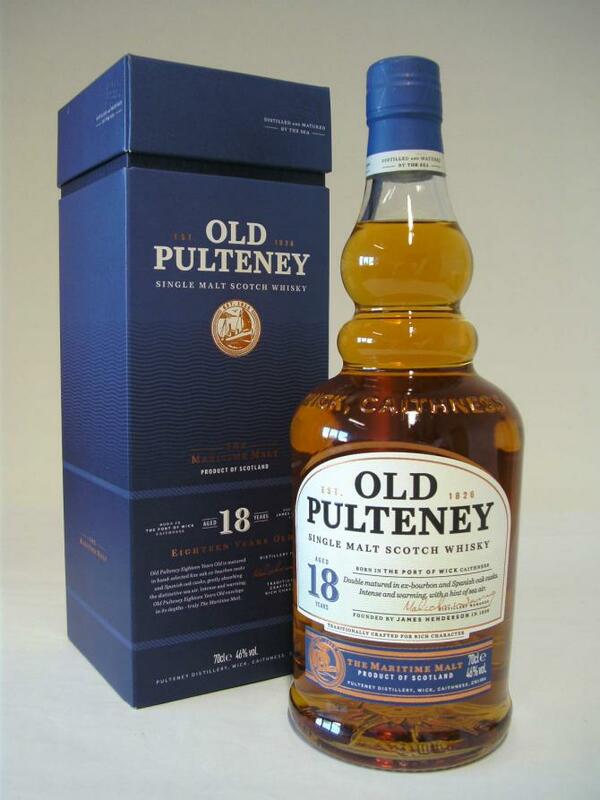 Anyone who likes strong, rubber-sweet malts with sulfur will also like this Pulteney. I like that less now. You can try, but you do not have to. The 18er stands out from the Pulteney range and seems to me already "designed". Also, the price of around 120 euros (as of 02/2019) is based on the current market situation. 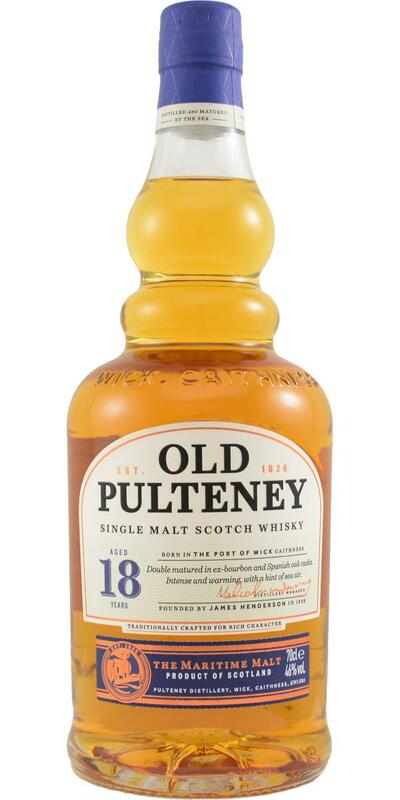 There I find the new 15-year-old Pulteney (ID: 116460) the basically better and for the distillery much more characteristic malt. In the mouth, the 18er then plays all his strength, brand Sherrykracher. Also sweet, but no longer as sweet as in the nose, now plum roaster and black berry. Similar in short moments to a refill sherry keg like the Fassstark Clynelish (ID: 121497). And at the second sip then again this Edradour rubber boat sweetie. Of matches. In the finish is again supplemented with oak, before appear again these artificial sweet notes. Somehow I'm sensitive to something like that. If you like that, ok. I find the 18er Pulteney less successful after the first drams in mouthfeel and finish. N: Peanut satay and grassy hessian. T: This is even more on the money than the 15yo, being fuller with a more focused & purposeful direction. C: Solid. Well up there with the discontinued 17yo, though the two are totally different beasts and [grrr], with wildly different price-points also.